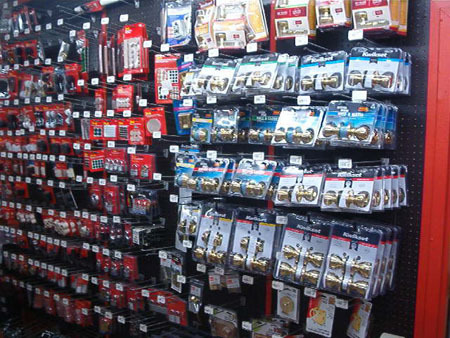 Hardware is one of our strong suits. 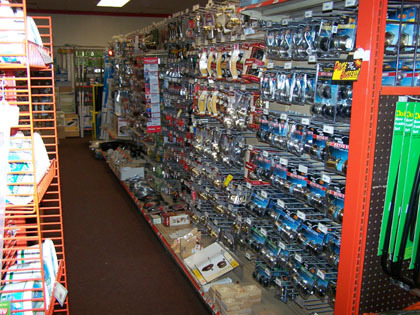 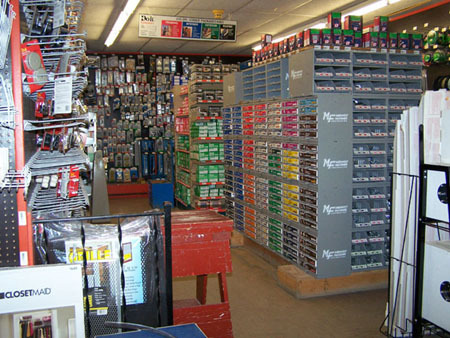 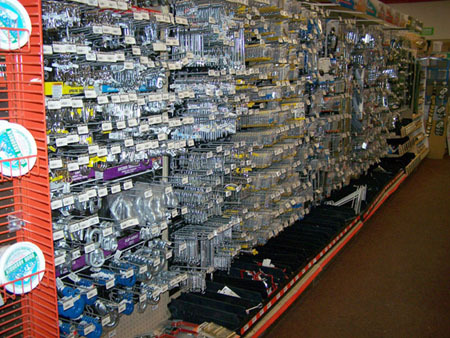 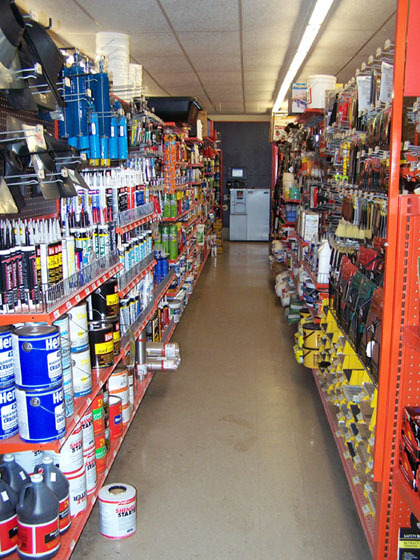 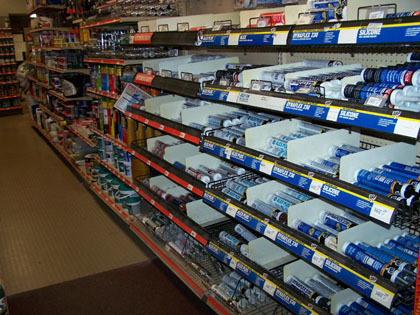 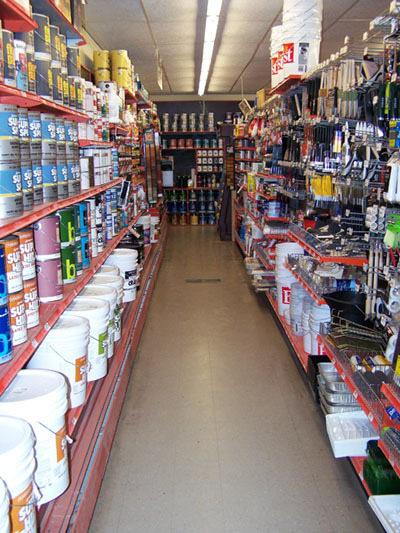 We stock all sorts of parts and supplies for any plumbing, electrical, or carpentry project, fasteners of all types and sizes, brackets, hangers, hinges, clamps, valves and fittings, conduit, pipe, filters, clamps, plumbing and electrical fixtures, locksets, masking tape, duct tape & electrical tape, flashlights & batteries, door & window hardware, threaded rod, caulking, glues, car care products, and MUCH MORE!! 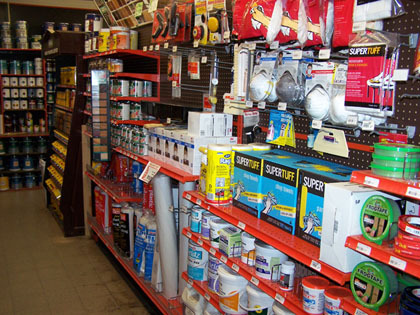 In our plumbing department, you'll find PVC pipe and fittings, copper tubing, both soft and rigid, pre-cut lengths of copper pipe, plumbing fixtures from MOEN, the leader in faucets, a vast array of iron and galvanized pipe fittings, glues for the plastic pipes and fittings, and solder and flux for sweating copper. 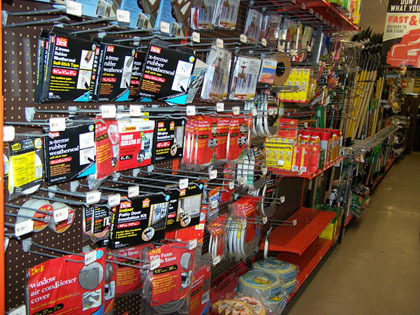 We have all of the parts you'll need for any drain or venting requirements, and sewer pipe - both in straight rigid sections as well as in 100' flexible coils. 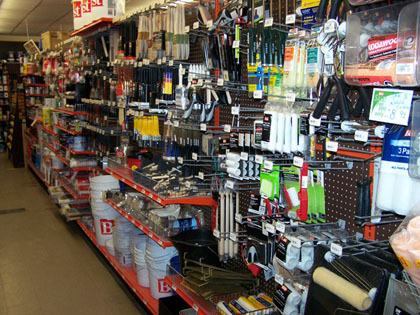 We also stock driveway tiles in various diameters and leech field pipe. 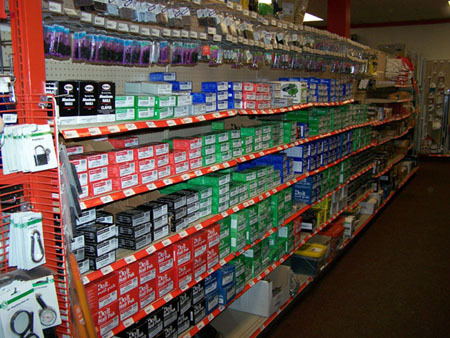 We also have pipe insulation wrap, valves in all sizes and composites, replacement valve O-rings, teflon tape, and more. 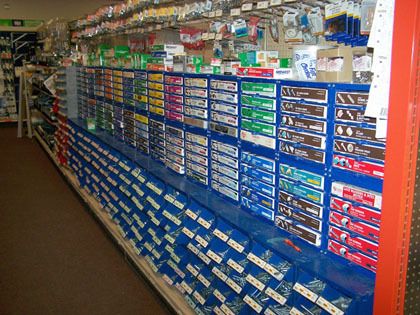 It's time to replace that leaky faucet! 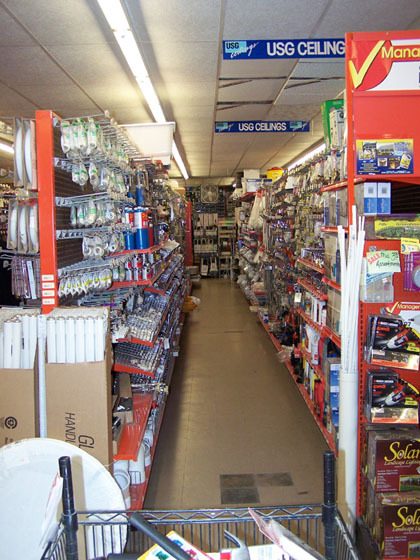 Our MOEN lavatory and sink faucet sets are top quality and guaranteed! 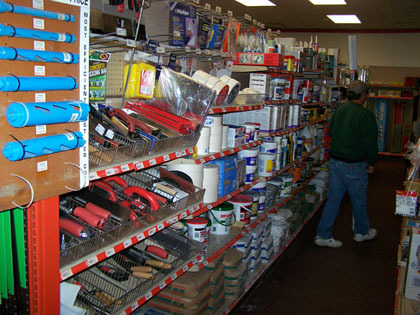 We have several styles to choose from and we're sure you'll find the set that is perfect for your application. 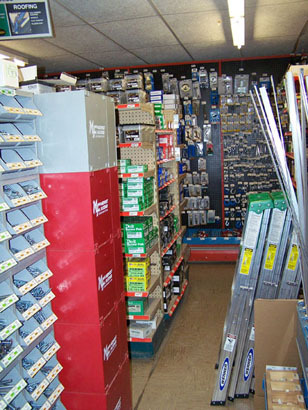 We stock all sorts and sizes of fasteners, including nails and spikes, nuts and bolts, washers, rivets, & screws. 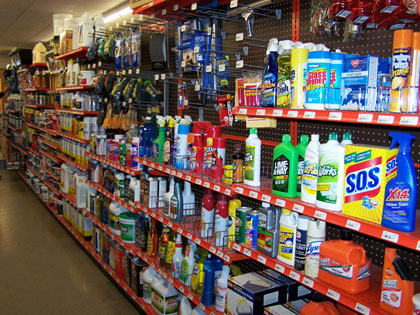 We stock all kinds of car care and maintenance products, including anti-freeze, windsheild wash , oil in several weights, oil and air filters, gas treatment, gas cans, funnels, batteries, hoses & camps, spark plugs, car wash soaps, wax, specialty cleaners, automotive tools, air fresheners, and more. 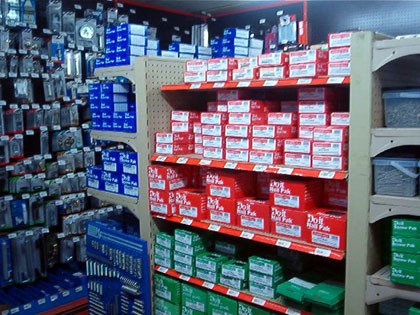 We carry heavy duty, dependable Interstate batteries in assorted sizes and cranking powers for your car, truck, motorcycle or lawnmower. 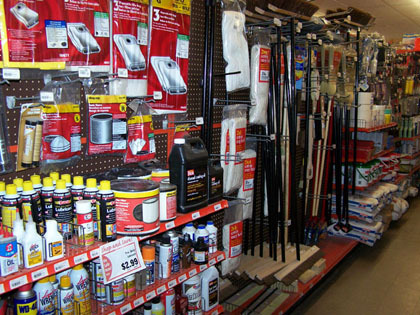 Cleaning supplies for every cleaning job - inside or outside. 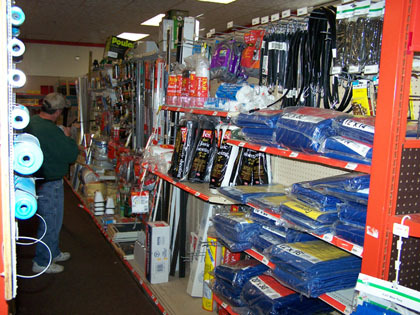 Tarps, bungee cords and tie-downs, gas cans, caulking for every job, door medals, angle iron, perforated metal strips, assorted steel braces. 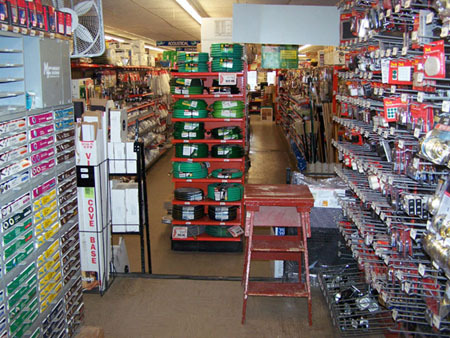 Screws, Nails, Nuts & Bolts, Washers, Anchors, Staples, Wire Ties, Toggle Bolts, Lag Screws, Sheetrock Screws, Frame Hangers, Cleats, Hooks, Pins, Joist Hangers, Brackets, & Wall Hangers. 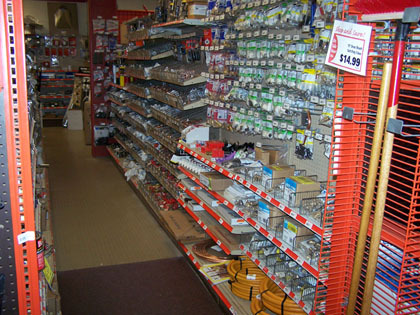 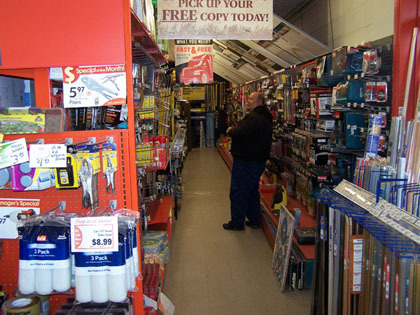 Door & Window Hardware, Angle Iron, Brackets, Perforated Angle Braces, Metal Strapping, Window Glass, Window Screen, Pop Rivits & Tools, Flashlights, Keys (Duplicator in Store) Lock Sets, Padlocks & Hasps, Batteries, Chains, Cabinet Door Pulls, Hinges of all Types, Hooks & Hangers, Springs, Gloves, Plastic Sheeting, Tarps of all Sizes, Door and Window Weather Seal, Tub & Tile Caulking, Tape of all Kinds for all Purposes, Wood & Pellet Stove Accessories (and Pipe), Spooled Chain in Several Sizes, Plastic Tubing (Several Sizes), Glues & Adhesives of all Kinds.